Row unit shown fitted with standard rubber 'press wheels'. Steel 'press wheels' available as an option. Excel Agriculture’s High performance heavy-duty double disc opener. Built to handle minimum / no till conditions in Australia, Excel Agriculture has been the leader in the development of the parallelogram double disc opener. We recommend this unit for both winter and summer cropping where there is a requirement for accurate seed placement, quicker germination and minimum soil disturbance. 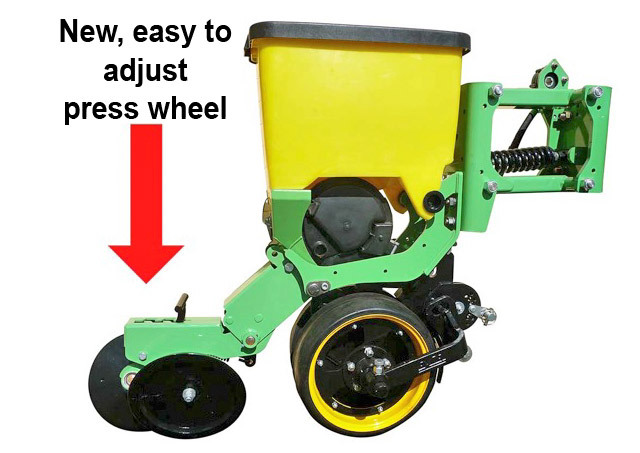 The unit can be configured for airseeder or precision applications. 16" 4mm Coulter on 4 degree disc angle. Heavy duty HT bearing/hub assemblies with marine seals. One tapered bearing size for the entire unit. Slotted gauge wheels as standard. 1 ¼ Stainless Parallelogram pin on polymer bushes. Variety of closing wheels for the V configuration. Low maintenance for a double disc unit. Low horsepower requirements 3-5 H.P. per row unit. Mud scrapers (tungsten or rotary). Steel and Rubber Press wheels. 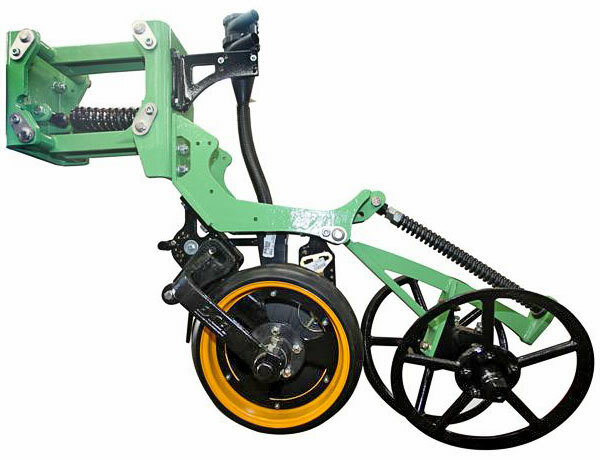 Walking press wheel with quick adjust handle. Starter and liquid fertilizer tubes. The SP200 row units are available independently and suit 6", 7", & 8" toolbars, or setup as complete machines in linkage or trailing configuration. In addition to the manufacture and supply of the Stubble Warrior, Excel Agriculture is also an OEM dealer for Simplicity Australia, which allows us to provide the complete solution from planter to air seeder, setup ready to begin planting 'right out of the box'. Contact us at Excel to discuss your Stubble Warrior SP 200 Double Disc Opener requirements.